We predominantly believe that dedication & sincerity are the two essential way to reach up to an apex & make an individual image as well. We have been incessantly using best quality minerals to manufacture calcite granules & other products. Moreover, we offer all the products at a very moderate price. We introduce our company M/s Adinath Industries as a Manufacturer & Exporter of Calcite Grains used in making Glass. We are using the finest raw material found in India. Keeping in mind the diverse requirements of the clients, we offer a wide range of Calcite Granules Grits And Powder. 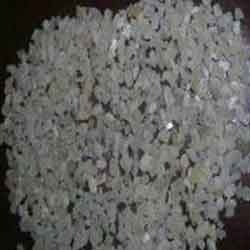 the company is a prominent manufacturer, exporter and supplier of calcite granules world wide. calcite granules are used in a number of industrial applications. These granules are available in different shapes and sizes as per the requirement of the clients. Usage: PVC Pipes, Paints,Glass Industry, etc. We offer our clients superior quality range of minerals that are highly appreciated among our clients. The offered products are processed using the finest and latest methodology in-compliance with the set quality standards. Calcite Grains of unique quality. 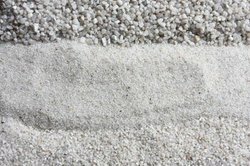 Our silica sand is known for its purity and other attributes that are as per the client’s needs. Enriched by our vast industrial experience in this business, we are involved in offering an enormous quality range of Polythene Calcium Granule (Polythene Raw Material). We offer a wide range of Calcium Granules to our clients. Calcium Granules is basically calcium hypochlorite with 34-36 % available chlorine. It is manufactured by the reaction of hydrated lime with chlorine. Calcium is a mineral that is required for the formation of bones and maintaining healthy bones & teeth.